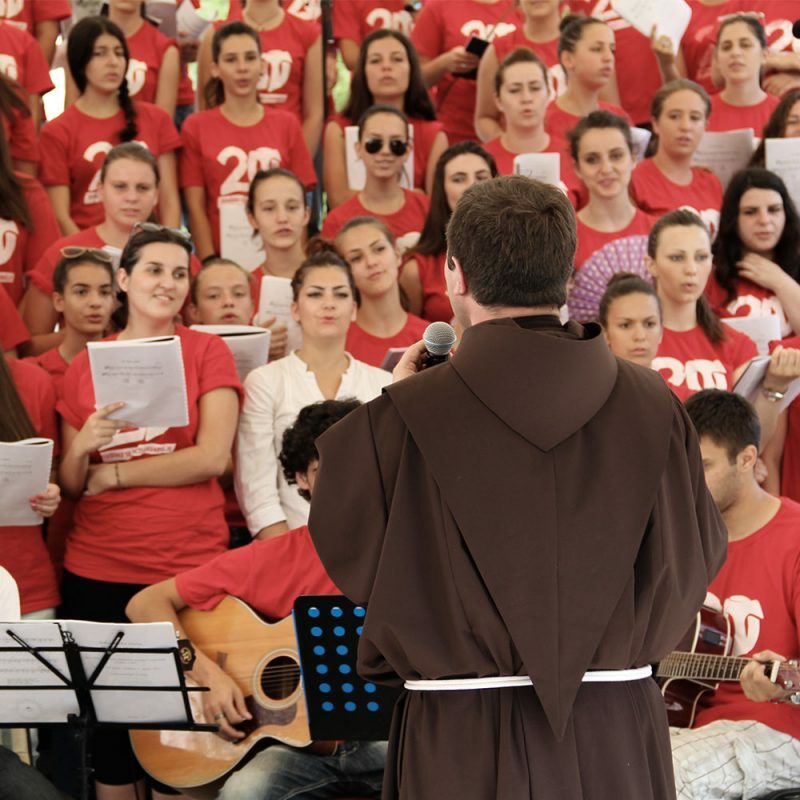 The spiritual and pastoral care of the OFS, in virtue of its belonging to the same spiritual family, is entrusted by the Church to the Franciscan First Order and the TOR, to whom the Secular Fraternity has been united for centuries. Religious and Secular Franciscans in fact, in various ways and forms but in lifegiving union with each other, aim to make present the charism of their common Seraphic Father in the life and mission of the Church and of society. Therefore, as a concrete sign of communion and co-responsibility, religious superiors must assure spiritual assistance to all the fraternities of the OFS (Statutes 1). The Youfra is an experience of fraternity, a community of young believers, sons and daughters of the same Father, who share their faith, based on (fraternal) love. Their fraternity is inserted in the ecclesial community in which it lives and acts. The Youfra walks in the light of the message of St. Francis of Assisi; they discover gradually and assume this project of life and its values. It belongs to the Franciscan family as an integral part of the OFS and considers the Rule of the OFS its inspirational document. Koinonia is the official newsletter of the Secular Franciscan Order.